North Carolina is a terrific place to live, work, and raise a family. We’ve come a long way since the global recession, and many sectors of our economy have come back even stronger. Unfortunately, decisions made by the Republican state legislature have left too many middle class families out of our state’s economic growth. Those decisions rigged the system to let those at the top reap most of the rewards. And as Congress considers major tax changes, the script seems eerily familiar in North Carolina. In 2013, with legislative supermajorities and a Republican governor, Republicans in Raleigh passed sweeping tax changes that disproportionately benefited the wealthy and big corporations, with no guarantees for middle class growth. These tax giveaways are now straining our state’s budget and forcing middle class families to pick up the tab — actually raising taxes 67 different ways. In our state, 800,000 households will pay more in taxes in 2019 than they did in 2012. Many of these households include small business owners and low-wage workers with children. 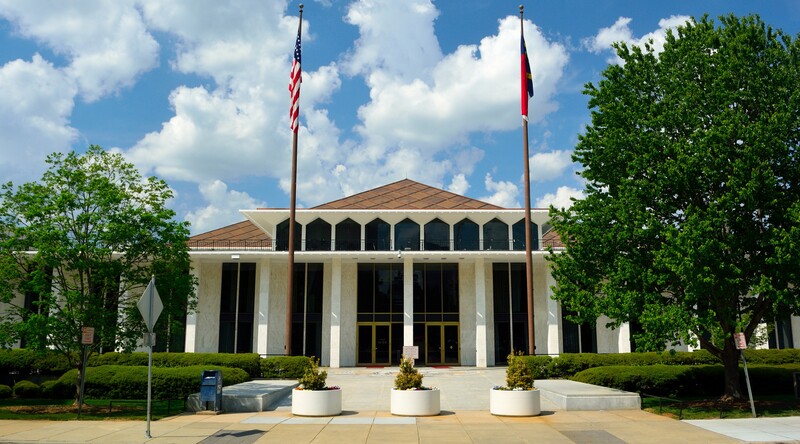 This year, the North Carolina legislature further tipped the scales in favor of corporations and top earners. Under the plan passed this year in North Carolina, millionaires receive a tax cut 85 times larger than middle class families. And more than half the tax breaks go to families earning more than $100,000 a year. This has contributed to an uneven economic recovery for our state. 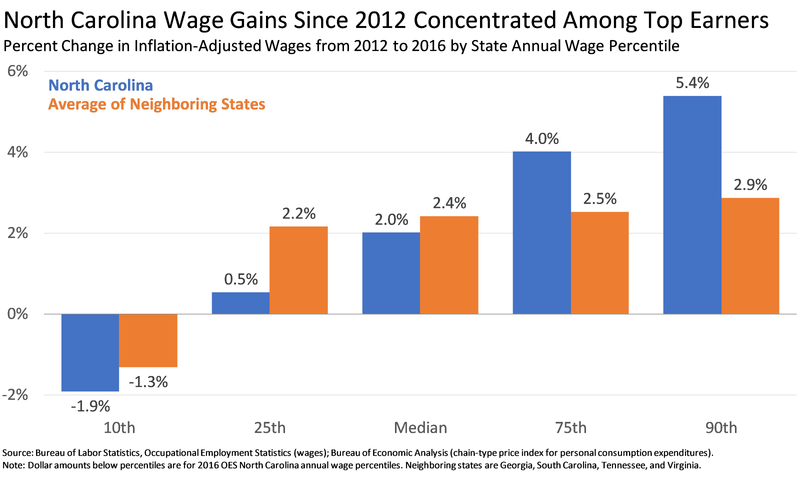 Since 2012, wage gains in North Carolina have benefitted top earners the most, with low and middle-income workers falling behind. Now, leaders in Washington have ripped a page straight from the North Carolina legislative playbook. The tax proposal in front of Congress offers substantial breaks to large corporations and millionaires. How will they pay for it? By eliminating tax benefits for the middle class including deductions for medical expenses, student loan interest, and school supplies that teachers pay for themselves. In total, it is estimated that half of the tax breaks in this proposal would go to the wealthiest 1%. The Joint Committee on Taxation shows that, on average, taxpayers earning $75,000 or less would end up paying more in taxes. The end game in Washington is the same as it has been for Republicans in Raleigh — alter the tax code to drastically favor the wealthy, and when it comes time to fill the hole created by these irresponsible decisions just balance the budget by cutting education and health care. In North Carolina, more than 109,000 teachers who claim the tax deduction for school supplies they pay for out of pocket would lose that benefit. More than 330,000 people who claim the college student loan interest deduction would lose that benefit. Teachers and families trying to pay for college are already struggling enough. Congress shouldn’t add to their burden. I talk to teachers, nurses, police officers, and families nearly every day in North Carolina. Their desire to make a difference inspires me. They deserve to be treated right, and I’m going to work hard to make sure they’re treated fairly. Both in Raleigh and in Washington, middle class shouldn’t mean second class.